Addiction is a disease that requires specialized, advanced, and dedicated treatment to provide the best chance possible for a successful recovery. Pathways Real Life Recovery in Utah offers the specialized addiction treatment services that teenagers who are struggling with alcohol addiction problems need. For over ten years, our teen rehab center has been giving teens the tools that they require to reach the root of their addiction issues, overcome them, and stay sober for the rest of their lives. What sets our institution apart is that we treat addiction issues with the compassion they require and treat the patients with the dignity they have earned. We don’t only treat the patient but the family as well to ensure that everyone understands the process. When teenagers drink alcohol, alcohol stimulates many of the same parts of the brain that hard drugs, such as cocaine and heroin, impact. This means that alcohol addiction rewires the brain in the same way that these drugs can. This means that alcohol can impact many parts of the brain including the frontal, temporal, and occipital lobes. If the brain is damaged badly enough, the alcohol can even impact the brainstem and cause the teen to stop breathing. While this is a severe case, most people understand that alcohol damages the brain, particularly in the teenage years. This is what happens when people feel hungover after a night of heavy drinking. The brain has been dehydrated and is struggling to recover. Our approaches to the treatment of alcohol and teen drug rehab take an innovative approach to treat not only the medical side of the addiction but the emotional, spiritual, and physical needs of the patient and their family. Core Belief Restructuring: Many teens struggle with addiction because they have a poor self-image. In belief restructuring, those beliefs will be taken and molded into a positive self-image to help improve self-confidence and drive away the negative thoughts that created the addiction issues in the first place. Cognitive Behavioral Therapy: Addiction develops because of certain triggers that have been learned and drive addictive tendencies. In CBT, those triggers will be uncovered and those learned behaviors will be undone to help rewire the brain to avoid the creation of addictive triggers and help patients stay sober for their entire lives. Family Therapy: When patients leave, it will be the responsibility of the family to encourage the growth of the skills learned in Pathways. Family therapy is important for creating a dynamic that will encourage the patient to remain sober and focus on the coping mechanisms that they learned during their time in Pathways. Detox Services: Many patients arrive at the program acutely ill. Pathways partners with numerous detox centers in Utah to help patients deal with severe withdrawal symptoms that can develop from addictive behaviors. 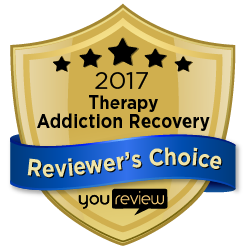 With the help of these professionals, patients can get through their withdrawal and focus on long-term recovery. The key to treating addiction is to prevent it from relapsing. This means finding out the root cause of the addictive behavior in the first place and making sure that there are changes in the life that will prevent this from recurring. This is the focus of pathways. Learning about the patient as a person will help to identify the causes of addiction and treat the cause permanently. Pathways Real Life Recovery encourages anyone with questions to call 801-895-3006 for a free consultation to learn more about how we can help your teenager with their addiction.